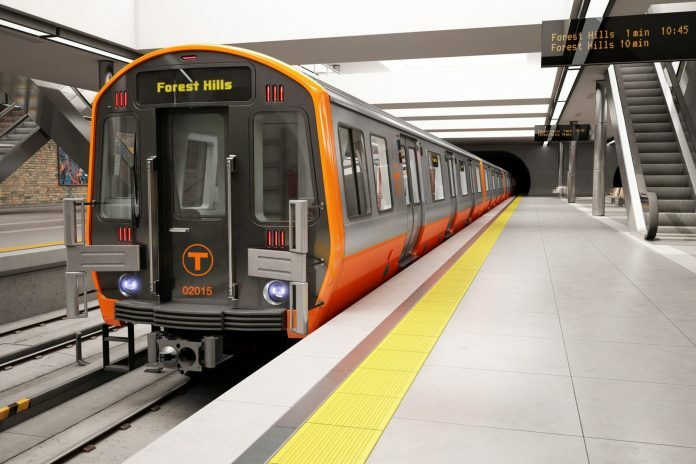 CRRC is manufacturing new vehicles for Massachusetts Bay Transportation Authority's Orange Line. Photo: CRRC. The vice-president of CRRC MA, the rolling stock giant’s United States subsidiary, has spoken of his concern after rail equipment was included in a proposed new list of imported Chinese products that could be subject to additional tariffs. In a statement, the Office of the United States Trade Representative (USTR), which is responsible for developing US trade policy, said that the proposed tariffs are part of a response to “China’s unfair trade practices”. Rail-related products on the list include rails, electrical signaling, safety and traffic control equipment, and, significantly for CRRC MA which has a $95 million train manufacturing facility in Springfield, Massachusetts, self-propelled coaches and rolling stock parts. Speaking to China Daily, CRRC MA vice-president Jia Bo added: “The steel products that will be used in CRRC MA’s production partly come from the US and partly come from China. “As rail equipment has been included into Section 301, we are concerned about whether it will affect the rail equipment [trade], and thus affect a whole market change later. The value is said to be proportional to the damage caused to the US economy caused by China’s policies and help with the “rebalancing [of] the US-China trade relationship”, according to USTR. Robotics, machinery, information and communication technology and aerospace industries have been targeted in the proposed new tariffs. This list is set to undergo a further review before USTR issues a final list. CRRC MA is currently manufacturing vehicles for Massachusetts Bay Transportation Authority’s Orange and Red lines.